The other day, I traveled from Kentucky all the way to Southern Sicily. I took three different planes, then rented a car and drove to my final destination, Ragusa. The entire journey took approximately 24 hours, but the truth is: I landed where I wanted to go without any problems! All my flights were on time; even though, my Italian is very limited, the majority of people I needed help from spoke English with me; I have a GPS on my mobile phone that led me directly to the little Airbnb apartment I am renting; the owner was there to welcome me, he showed me around and left some food in the fridge for me to enjoy. Whenever I travel, I always find it astonishing that we are in a world where we can opt to cross oceans and continents in a day, in relative comfort. I know, we complain about aircrafts squeezing us in smaller and smaller spaces, we complain about airport food, we complain about airlines being late and luggage being lost, we complain about other travelers and their complaints… But as Westerners and especially as white upper middle-class U.S. citizens, we can travel whenever we decide to do so and we do not encounter any major obstacles. Entering Italy with a U.S. passport doesn’t require any paperwork at all, you just walk in! It is my first visit to Sicily. Coming from the U.S., I am thinking of the thousands of Sicilians who traveled to the U.S. at the end of the 19th century and beginning of the 20th century. Their voyage was harrowing and making it alive was not a guarantee. The Sicilian wave of immigrants was part of the wave of the poor Europeans, a new type of immigrants then, coming to the U.S. for the opportunities that the country promised. Sicilians were hoping for a better life, but mostly they were hoping to send money back to Sicily to help their families and then, eventually, be able to go back home themselves. To that end, although many of them were farmers, they didn’t want to cultivate land in the New World as it would have rooted them, literally. They ended up in urban centers, doing small jobs, and some of them actually managed to go back to Sicily. It is my first visit to Sicily. Having recently worked on JustFaith Ministries’ migration module, Exploring Migration, I am thinking of the thousands of refugees trying to reach Europe, crossing the sea in small unstable boats and landing on Europe’s isolated islands. 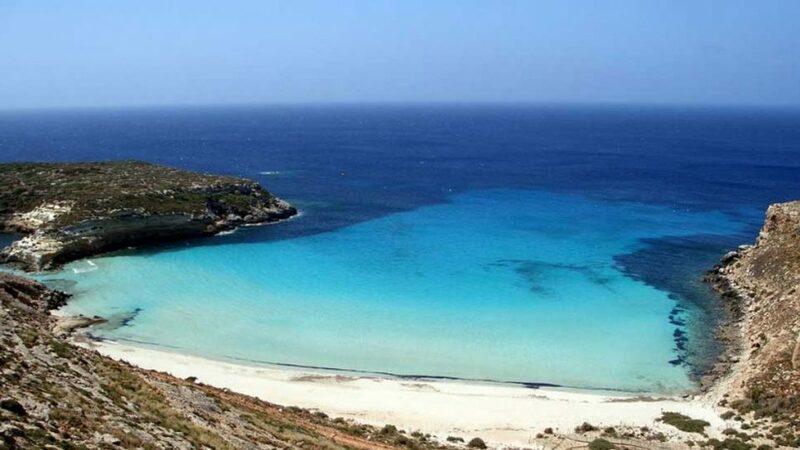 It so happens that Ragusa is just 250km away from the island of Lampedusa, an island previously known for its beauty and its beaches, attracting tourists. Even though the island has had a shelter to house migrants since 2007, it witnessed an increase in the number of migrants landing on its shores in 2016 and the island was totally transformed chasing away tourists and bringing down the tourism industry for its local population. The conditions at the center have been denounced as inhuman and the Italian government is closing it for renovation; for the time being, refugees will be transferred to other centers on the mainland. Will Lampedusa regain its paradisiac status, temporarily welcoming tourists in lieu of refugees? What does that mean? There was no program, no official invitations. I felt I had to go, I was touched by the news of migrants who had died at sea, who had drowned. …what is happening is the sort of moral enormity that once seemed unthinkable in contemporary America, the kind captured in the Martin Niemöller poem that’s repeated so often it’s become a cliché: ‘First they came …’ There is no reason to believe that undocumented immigrants will be the last group of people deemed beyond the law’s protection. The summer is here; many of us are going to be traveling here and there, most likely with ease and comfort. Let’s not forget the freedom we enjoy and the fact that most of us benefit from this freedom just by virtue of being born in a specific place in time with geographical, economic, or other privileges that have allowed us to flourish and expand. And then, when we come back, on what side of history are we going to stand? Inclusion or exclusion? Protectionism or welcome? Sharing or accumulating? It may sound like an either/or… and it may well be; we’re not living in a cliché anymore!